Are You Skinny or Average Size, and Desire To Get Bigger Body Size FAST? Bodybuilding is a complex and very long-term sport. And as such it is easy for someone to get discouraged by the lack of progress especially if you are a beginner. Gaining muscle takes time and the proper knowledge; two things many people don’t seem to have the time for. It is important to understand that bodybuilding is not just a physical sport; there is also a lot of thought involved in the process even though it may not be initially apparent. Below you will find information related to training, supplementation, rest, and nutrition, making this piece a complete guide. Also let me say that this guide can equally work for women though with a bit difference. People who have a hard time putting on muscle generally are also very lean, and as such it will work to their advantage to always train heavy. Building muscle is done most efficiently through heavy weight and low reps, so this is pretty much all you should be doing. If you do 4 sets of a particular exercise, try doing 12, 10, 8, and 6 reps for each set respectively; the most important part is that the heaviest weight possible is used on the last one all the while keeping the form top-notch. Remember that it’s never a good idea to sacrifice form for additional weight as this will greatly increase your chances of injury. When it comes to the actual lifts, I suggest you stick mostly to compound movements. If you are not aware of what these are, they are basically lifts which involve more than one muscle at a time. Compound movements are great for building overall mass while isolation ones are mostly for bringing up lagging body parts. The deadlift is great for putting on mass on the rear of your body including the hamstrings, the glutes, and the back in general. It is also a very good movement when it comes to building grip strength and forearm size. “I do hyperextensions instead”, amongst several others, but the truth is these are just excuses coming from people not wanting to work hard. The truth is that there is always a BIG – clear difference between the physique of someone that deadlifts and the physique of someone that doesn’t, which just goes to show you how effective it really is. 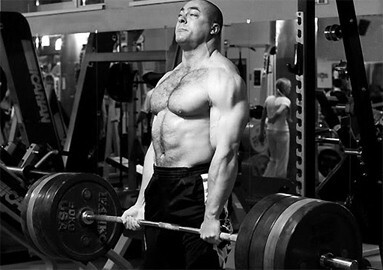 When deadlifting you can, and should, make use of some equipment. Lifting chalk for example is a very good way to get a better grip on the bar, while a lifting belt is great for protection on your heaviest sets. Speaking of the grip, I highly suggest you use a double overhand grip whenever possible as not only will this put equal stress on both of your forearms, but it will also reduce your chances of a bicep injury which can happen when one uses a mixed (or baseball) grip. If your grip is simply giving in preventing you from doing any more reps, you can use wrist straps but don’t overdo it with these or your grip will never develop. A final thing I want to mention is the hook grip; look this up and thank me later! 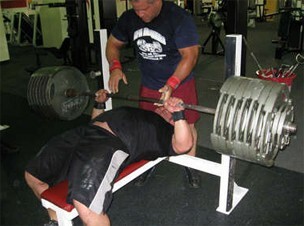 The king when it comes to building massive and strong thighs! The squat is most effectively done in a cage for maximum safety and comfort. Not only will this exercise hit your quads a lot, but it will also use your glutes and lower back which is why you should space it out from the deadlift. 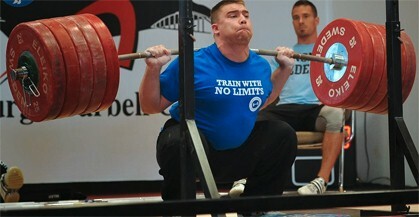 A lifting belt can be used here when the weight is heavy, along with knee wraps if required. The front squat, a popular variation, is also effective. The only lift out of the mentioned 3 which you don’t have to nag people to do. The bench press is quite popular since its main focus is the chest, which in turn is the king of all beach muscles, but it also uses other body parts such as the front of the shoulder and the triceps. When bench pressing make sure your grip is not too wide as this will limit your range of motion, but on the other hand make sure it is also not too narrow as this will put the focus on your triceps instead. A slightly wider than shoulder width grip is the best, so go with that. If you need some elbow support you can use an elbow warmer or even some elbow straps. Besides being great at adding mass, the previously mentioned lifts (along with all of the other compound movements) all help to increase your natural reserves of testosterone and growth hormone, two very important components when it comes to building muscle. It’s quite simple really: eat big to get big. This will be your main guideline when eating for mass, so keep it in mind all the time. Foods you should be focusing on are complete proteins such as meat and chicken, along with complex carbohydrates such as brown rice. Healthy fats should also be included in your diet in the form of olive oil, nuts, and the likes. But just how much should you eat? As much as is necessary; that is the real answer. 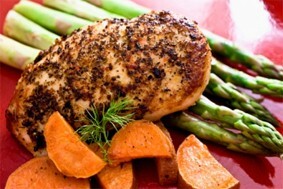 You should start off with 5 or 6 REAL FOOD meals and then increase said meals as you stop gaining weight. Remember that some bodybuilders eat as much as 12 meals a day! Supplements, with prohormones (also known as legal steroids) in particular, can prove to be very effective when used correctly. Here am talking about legal steroids scientifically produced with the best intention, to help you gain weight, muscles, lose fat without side effects. b) Deca Durabolin. Even if you are skinny, Deca will surely help add weight muscles in few weeks, plus plenty energy and stamina to continue longer exercises for faster gains. 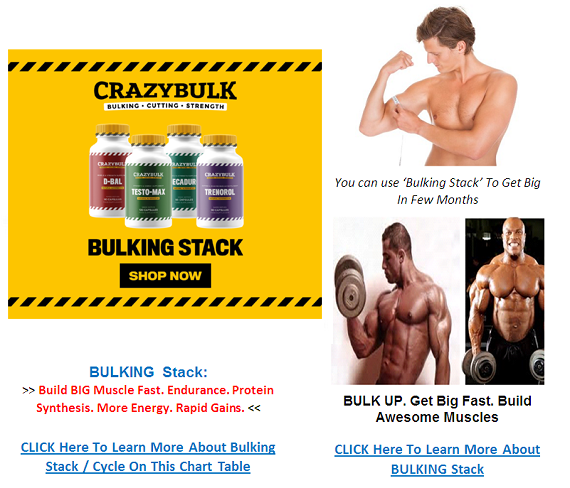 If achieving your goals faster and easier is part of your program, then you must consider Bulking Stack combo. a) WHEY PROTEIN. 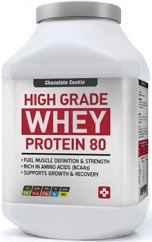 A quality whey protein isolate with added carbohydrates, also known as a weight gainer. b) MULTI VITAMIN. A multivitamin to help you keep a full spectrum of minerals inside your body. Vital Tips: The key to using supplements successfully is to add them to an already healthy diet; they are called supplements for a reason of course! Never ever base your diet on supplements; instead use them for their intended purpose which is to SUPPLEMENT an already healthy diet. The final thing I want to talk about, but definitely not the least important, is proper rest. During sleep is when your body builds the most muscle and is also when it releases most of its hormones. Sleep deprivation can actually cause hormone suppression to some extent, which is exactly what you DON’T want to happen. • Having a comfortable pillow and mattress. I hope you guys have enjoyed reading this article? If there is something which you didn’t understand please don’t hesitate in order to leave a comment below; we love hearing from you! These are very good tips. The section you highlighted REST is very important and I think that a lot of people do not realize that. I am more of a “hard gainer”, but I always try to get enough rest between workouts! I really hope enough guys who are busy pounding away day-in, day-out with little rest will get to see this expert admonision. Yes REST as you rightly point is extremely important, so much so muscles are actually built in the night while we sleep. NOT WHEN WE PUMP IN THE GYM. You are welcome. You are also right about muscles being built overnight. That is a very important point. Thanks for looking in. Am glad you learn some lessons here. For me it was important to know what I was getting into. Like you have mentioned on this site, diet and routine are also a huge part of building a better body. Yeah Jesse, in certain endeavors you may shot in the dark and probably find your way out to success. But not in bodybuilding. No wonder many guys failed for months and years, despite lifting heavy metals. Now that you know what is important I still enjoin you learn more, then exercise properly. I was always told that because I was skinny, it was going to take a lot more to build muscle. Is that true? Are my workouts doomed? 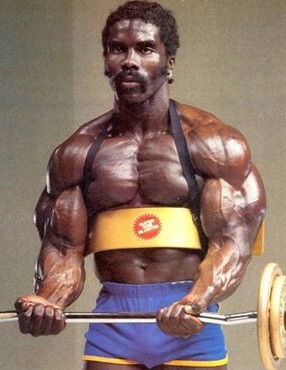 Yes it is true that a skinny person takes a longer time to get bigger or pile on more muscle. However instead of grieving over this you should instead start your journey to add more weight to your body size. Remember many great weightlifters were hitherto skinny but with determination, they changed their personal stories in few months of dedication. Someone told me that if I want to build muscle I might have to eat a bigger diet, but I am worried about gaining weight. Is that a normal concern? It is true but bigger diet alone does not cut it. Okay.